Gold and silver investors got a rare bit of good news on the enforcement front last week. 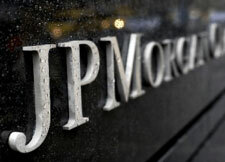 A trader from JPMorgan Chase pled guilty to rigging the precious metals futures markets. John Edmonds admitted to cheating the bank’s clients and plenty of other people naive enough to expect fair treatment on the COMEX and other exchanges. While this is by no means the first time a banker has been caught cheating, some aspects of this case are certainly worth noting. Below is some detail on the who, what, when, why, and how of Mr. Edmonds’ activities at JPMorgan. As part of his plea, Edmonds admitted that from approximately 2009 through 2015, he conspired with other precious metals traders at the Bank to manipulate the markets for gold, silver, platinum and palladium futures contracts traded on the New York Mercantile Exchange Inc. (NYMEX) and Commodity Exchange Inc. (COMEX), which are commodities exchanges operated by CME Group Inc.
Edmonds and his fellow precious metals traders at the Bank routinely placed orders for precious metals futures contracts with the intent to cancel those orders before execution (the Spoof Orders), he admitted. This trading strategy was admittedly intended to inject materially false and misleading liquidity and price information into the precious metals futures contracts markets by placing the Spoof Orders in order to deceive other market participants about the existence of supply and demand. The Spoof Orders were designed to artificially move the price of precious metals futures contracts in a direction that was favorable to Edmonds and his co-conspirators at the Bank, to the detriment of other market participants. 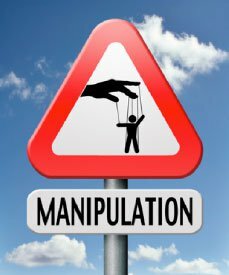 In pleading guilty, Edmonds admitted that he learned this deceptive trading strategy from more senior traders at the Bank, and he personally deployed this strategy hundreds of times with the knowledge and consent of his immediate supervisors. Mr. Edmonds is ratting out some fellow traders, including more senior traders and immediate supervisors. It appears that JPMorgan will have trouble painting him as a “rogue” trader, as so often happens when an employee gets caught. Maybe, just maybe, the trail uncovered here will lead to a high level executive spending some time in prison for rigging the metals markets. That would be a first. It is getting harder and harder for futures markets representatives to make the case that trading is even remotely free or fair. That is a good thing. We aren’t going to get honest markets in metals until confidence in the existing structure finally shatters and traders demand something better. More guilty pleas, new convictions and additional evidence of systematic, widespread cheating is just what is needed for class-action lawsuits. A handful of suits were launched when Deutsche Bank executives admitted to cheating and turned over piles of evidence in late 2016. Those efforts stand to get a nice boost from the Edmonds case, and perhaps we will see additional classes being formed. Notwithstanding DOJ’s success here, private actions brought in the civil courts are more likely to hold crooked bankers fully accountable than the regulators who have been tasked with that job. The CFTC has yet to take responsibility for the complete and utter failure, so it is safe to assume that the agency remains captured by Wall Street. It is telling that CFTC investigators spent five years investigating silver market manipulation, four of them during the time that Mr. Edmonds and his accomplices were operating with impunity at JPMorgan Chase. Yet that investigation was closed without asingle banker being charged with wrongdoing, to the dismay of silver and gold market whistle-blowers everywhere.